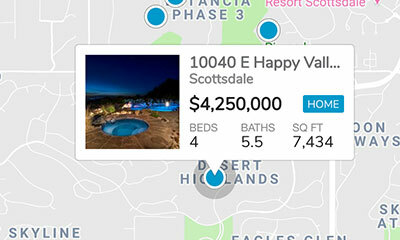 Browse Maricopa, AZ real estate. Can't find a home that fits your needs? Try our advanced Phoenix Metropolitan Area MLS search. You can easily filter properties by location, price, amenities, and more to find exactly what you're looking for. Maricopa is a growing city approximately 20 miles Southwest of Chandler and the Phoenix area and one of the most affordable areas in the valley. Once a rural farming community, it has blossomed into one of the fastest growing cities in Arizona, going from just over 1000 residents in the year 2000 to almost 50,000 today. Every year the community brings more and more amenities and businesses to the area. It truly is a great place to live!